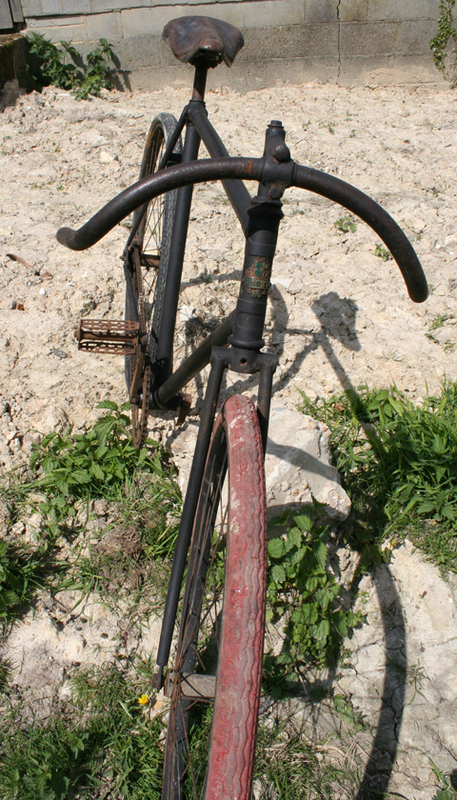 This fabulous old French racer has some of the craziest handlebars I’ve come across. 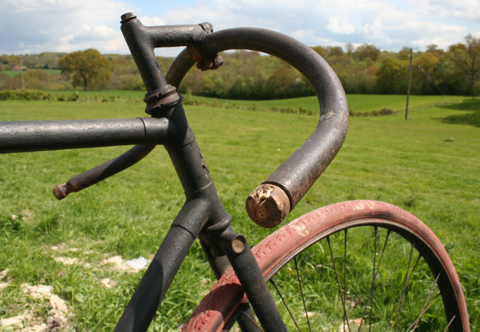 It’s just as pretty with its old tyres on. 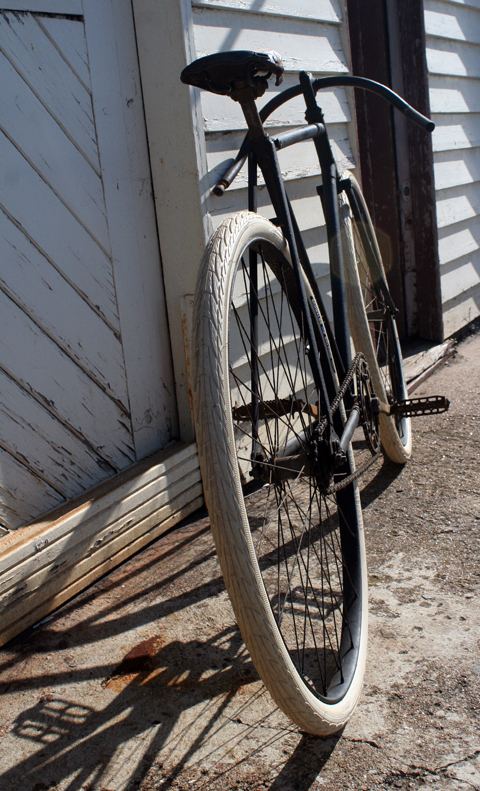 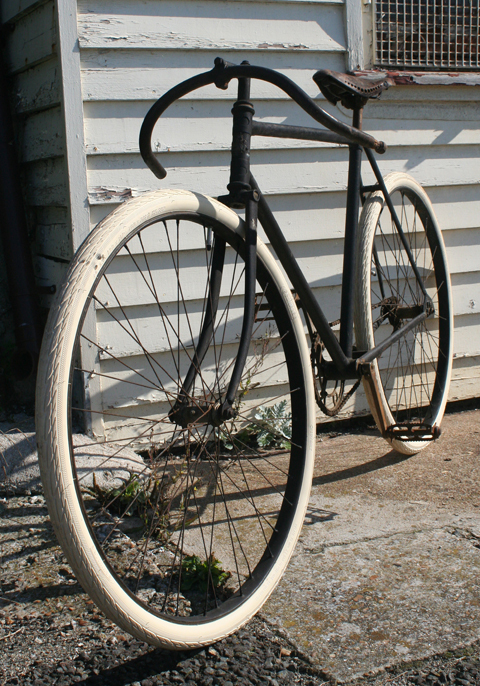 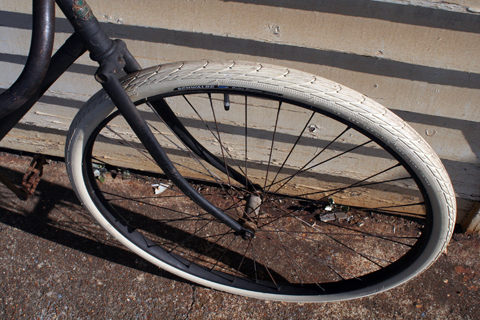 …but, as you can see, I’ve installed new white tyres for added effect. 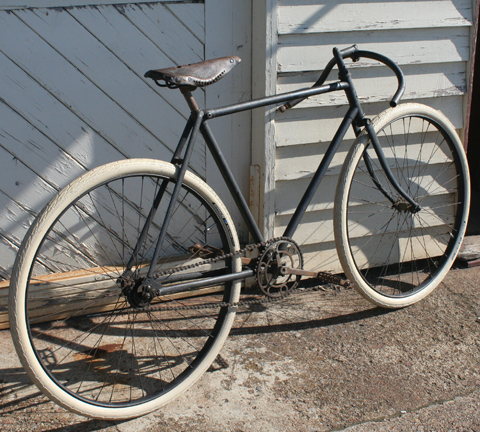 I’m tempted to fill the page with photos just of the handlebars, but I’ll behave myself and provide a proper profile. 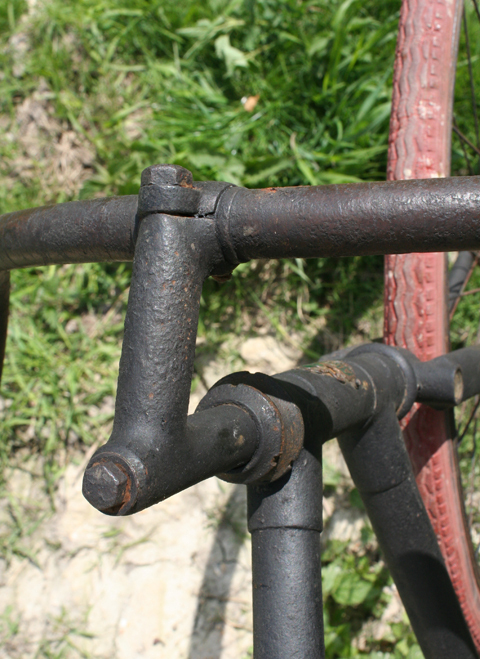 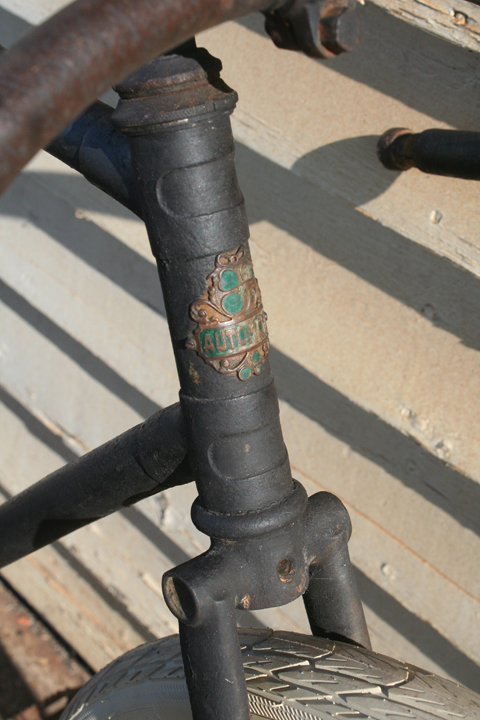 Joking aside, I try to record unique features of bicycles that pass through my hands, as such details are hard to find on the internet; when we’re trying to identify or to restore an incomplete bike those are the pictures that can help us the most. 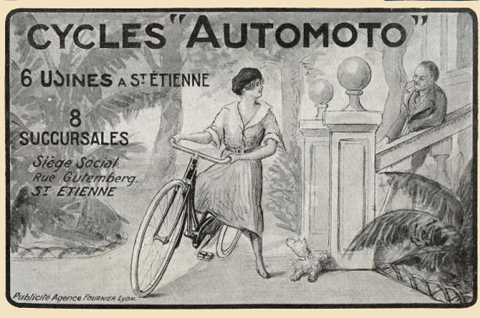 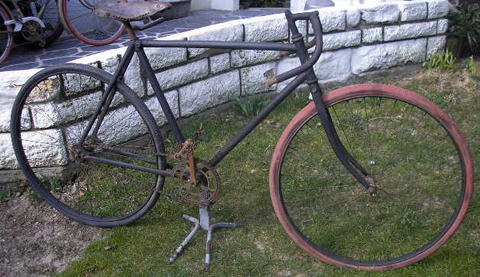 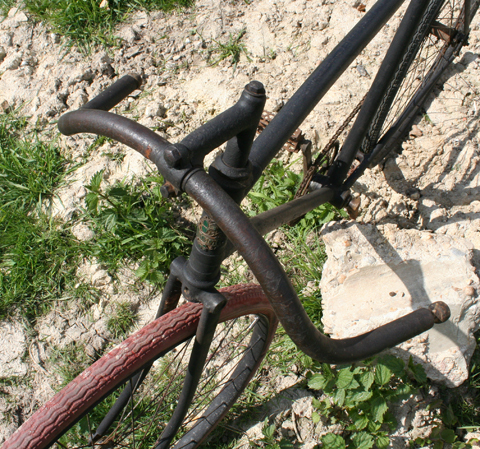 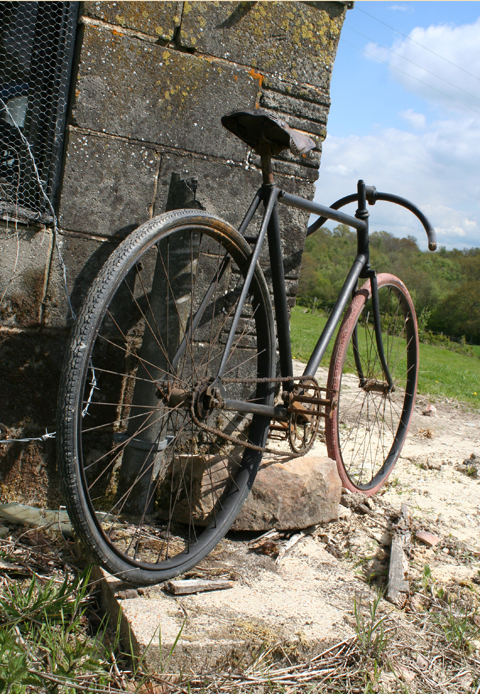 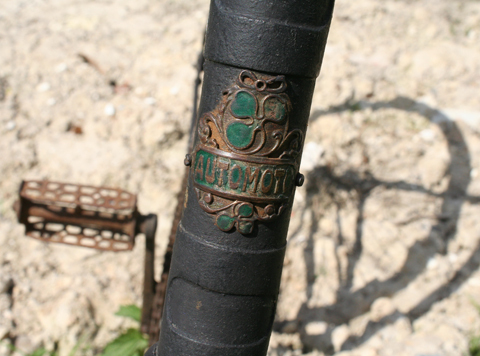 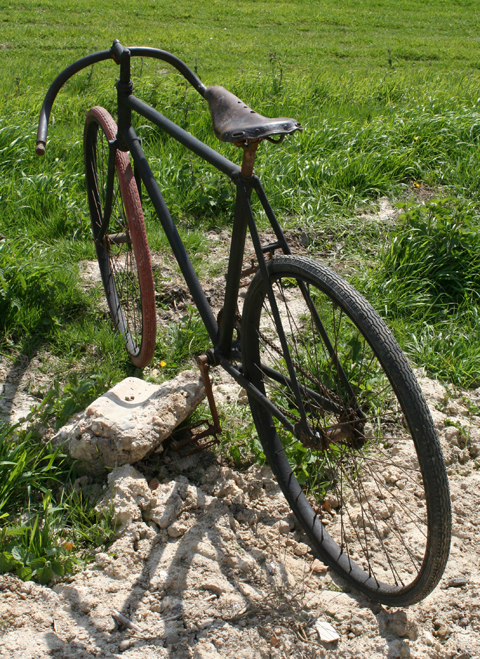 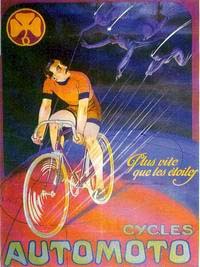 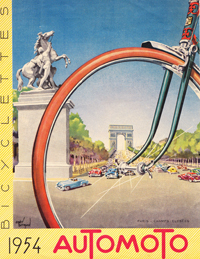 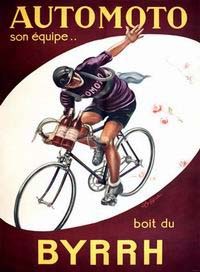 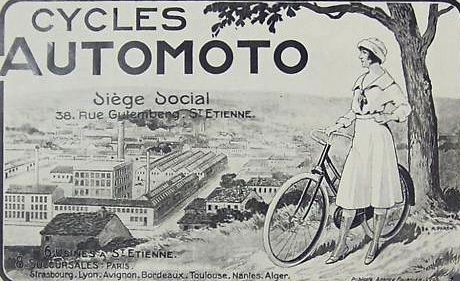 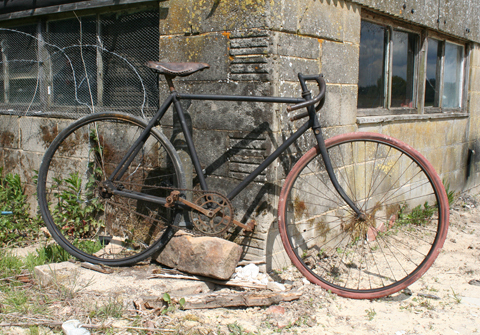 Automoto was one of France’s top cycle manufacturers, their bicycles enjoying much racing success in the early years. 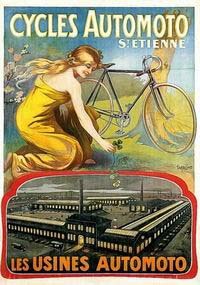 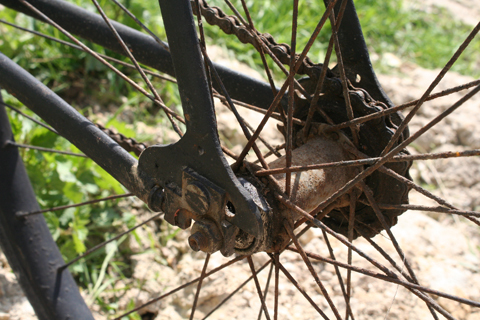 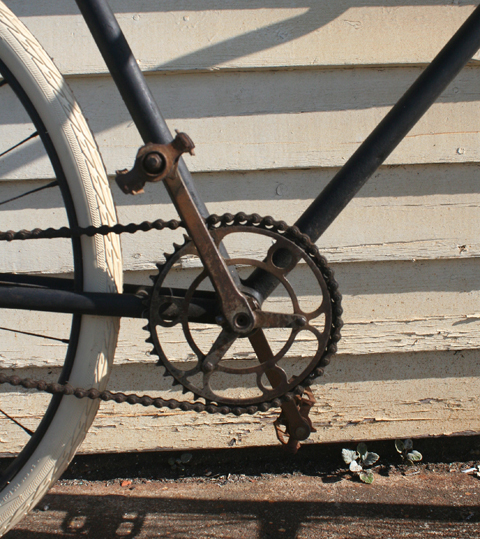 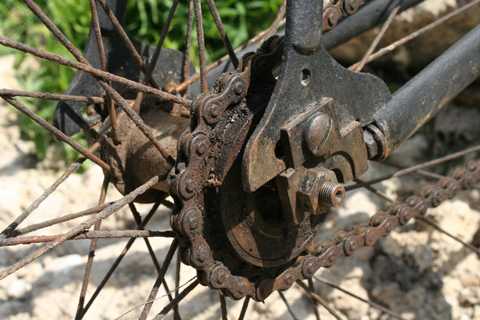 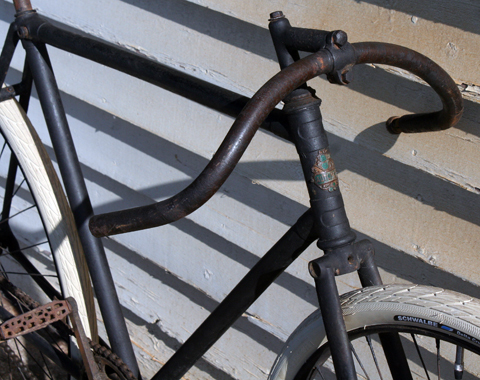 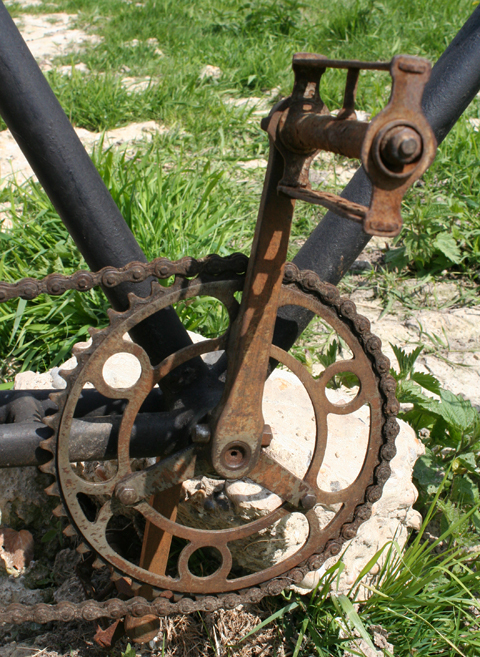 The company was established in 1901, by four cycle builders – Chavanet, Gros, Pichard and Cie. 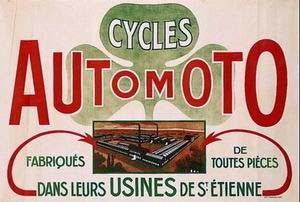 They changed the company name to Cycles Automoto in 1910. 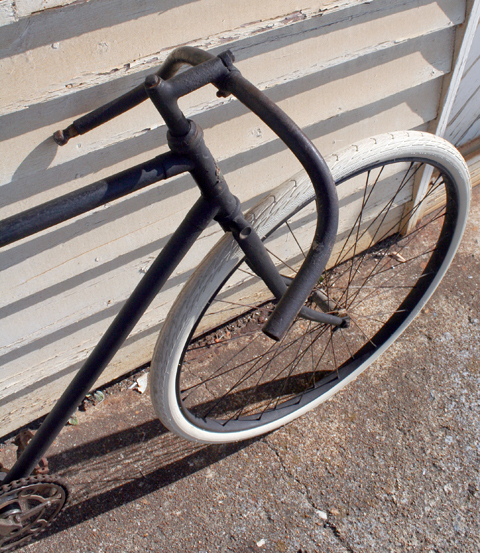 – It’s a freewheel, and there are no brakes. 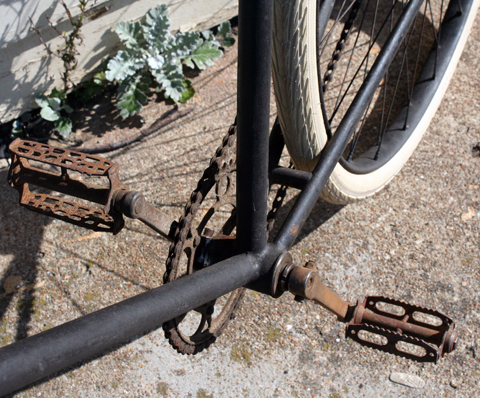 It wouldn’t take much to finish it off though: essentially you need to fit some cable brakes and retain the front fork central bolt. 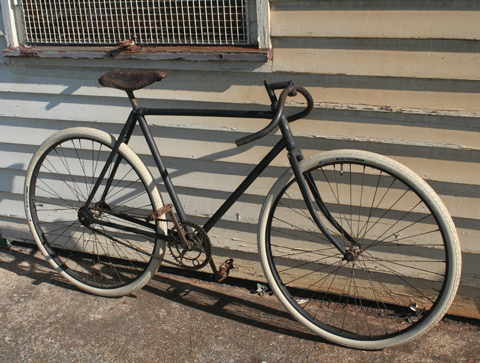 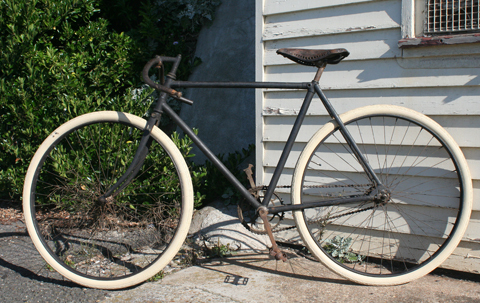 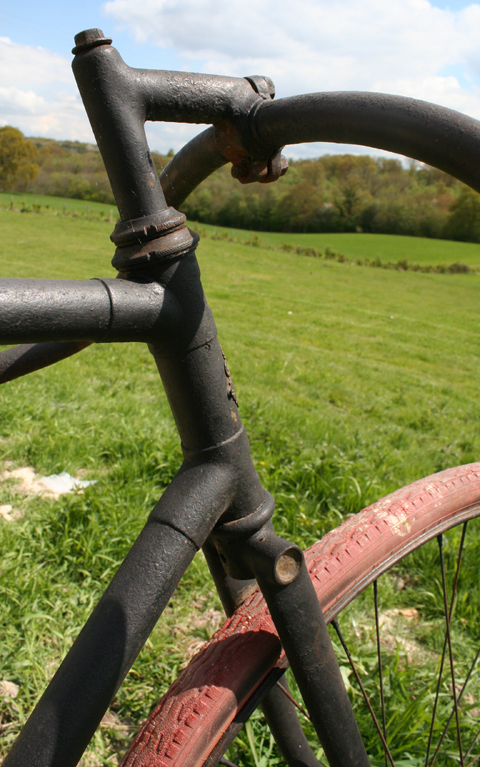 I’m too busy restoring other bikes at the moment, so I’ll sell this one as it is. 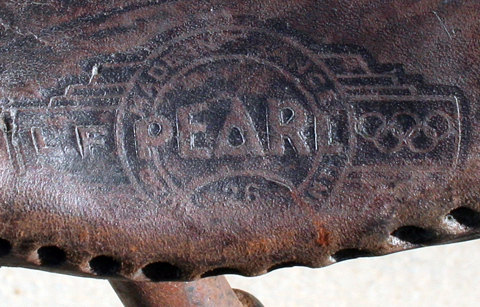 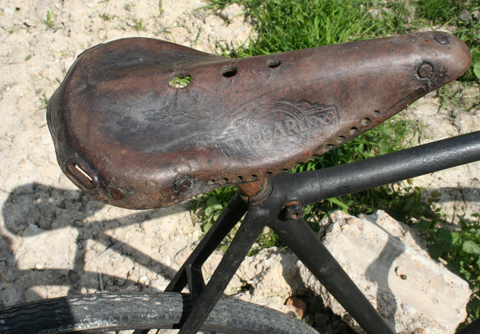 The saddle is made by L.F. Pearl and is in good condition. 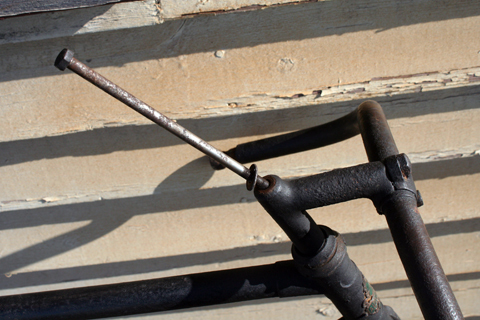 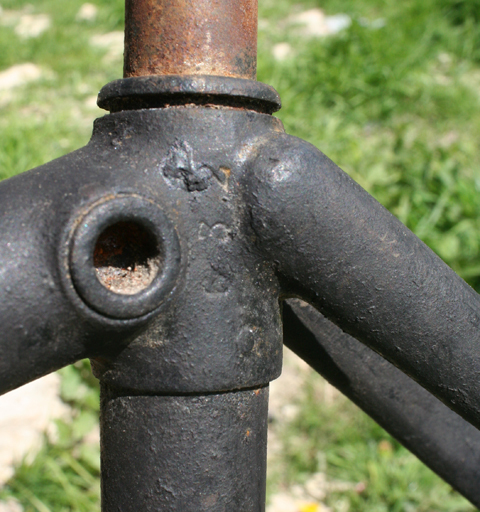 A bolt passes through the frame at the top of the seat tube, as you can see above and below. 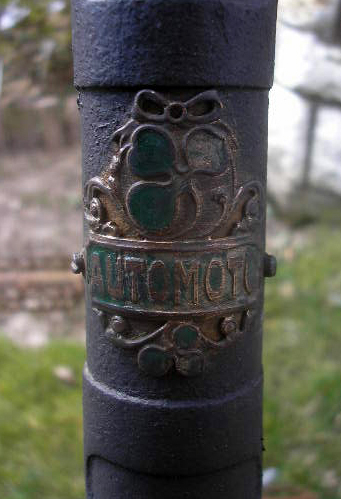 With some racing success in Mexico in the fifties, Automoto exported to the USA. 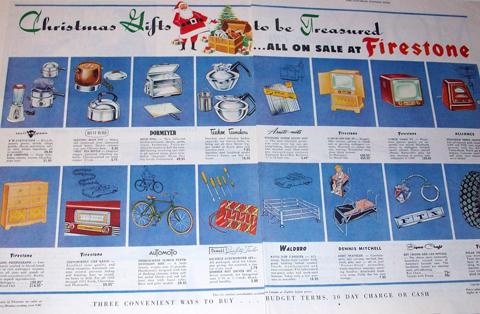 Edward Lynch & Son of California handled imports. 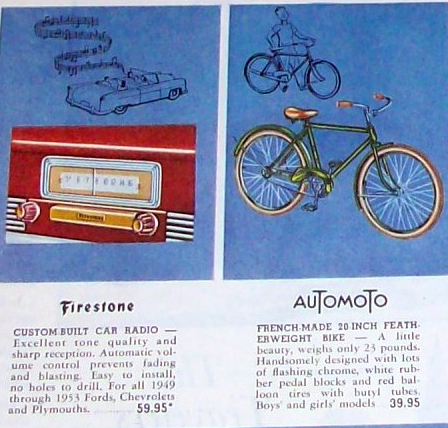 Here you can see an Automoto children’s bike advertised in a 1953 Firestone catalogue. 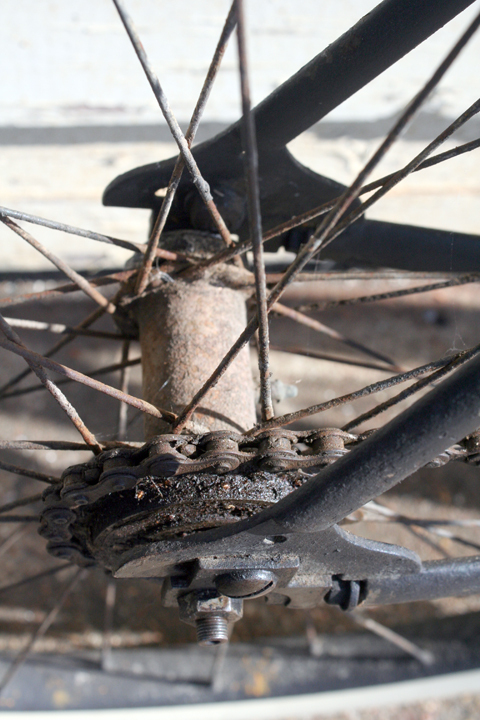 The rear dropouts are also distinctive.